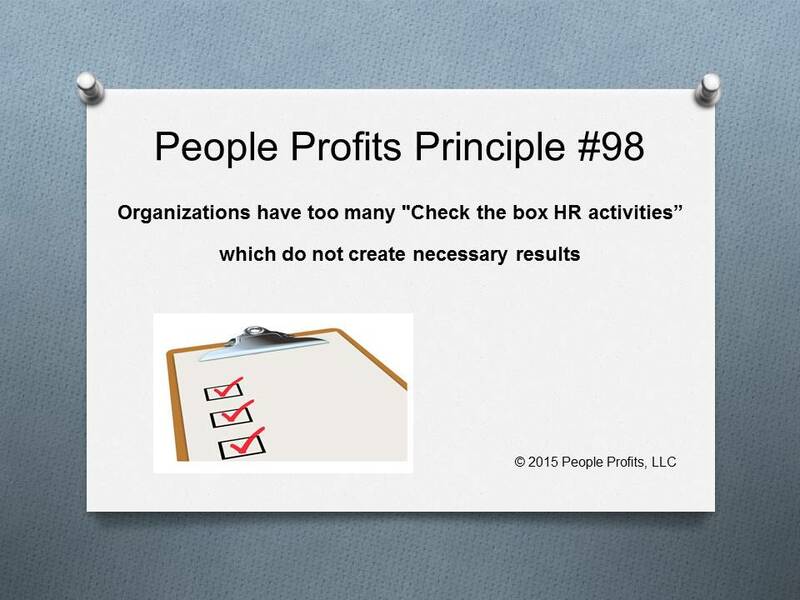 Are you tired of HR "doing stuff" with no appreciable results? Do you see them doing things and not really know why they are being done? Is it just busy work? Is HR doing things that should be done but not aligning it with the needed organizational goals? What needs to be done to align them and get results? People Profits is focused on strategies and processes that are necessary to get results first while eliminating unnecessary activity. HR people generally do not think in terms of strategy and results. They need help - they need someone who knows how to build strategies, systems and processes to achieve the results that you need to build your organization.